Bro, this is your Life . The Clock is ticking..... From 01st May 2019, a generously-sized Room with Curtains, Wardrobes, PRIVATE BATH and Amenities will be up for grabs for an Indian Executive to live it up with another cheerful and good-natured Indian Executive living in the same room since 2014. Just TWO people in this Room and 8 people (4 of them are a Family) in the entire naturally bright-and-breezy, centrally airconditioned, 3BHK Apartment. An elegant, palatial 2000 sqft Apartment in an upscale neighbourhood with plenty of FREE CAR PARKING SPACES available in the vicinity. If you are looking out for a homely, discreet and beautifully-maintained place, rest assured, YOU WILL TRULY LOVE to live here. There is no pain here, there is only peace and bliss. It is no secret that individuals develop strong emotional attachments to places which make them FEEL GOOD. Location : Al Dar Building, Opp Golden Sands 9, Al Mankhool, Bur Dubai. Conveniently situated within close proximity (800 metres) to both, Al Fahidi and Al Karama Metro Stations. Most Restaurants and Supermarkets are highly familiar with this Building. Breakfast, Lunch, Dinner, Groceries or any other item ordered on the phone, gets quickly delivered to the Residents of Al Dar Building. 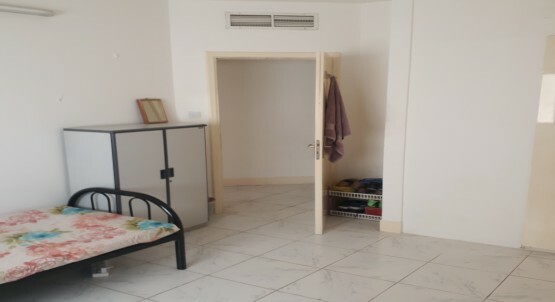 Rent Dhs 1,600/- per month incl of Dewa, Wifi (100mbps) and Amenities - Washing Machine, Fridge, Microwave Oven, Water Purifier and Housemaid. LIFE IS NICE N EASY FOR YOU HERE, as your entire Housekeeping work (dusting, vacuuming, mopping of Room and cleaning of Bathroom) will be taken care of by our Housemaid daily. After a long hectic day at work, you'll come home, kick off your shoes, take a refreshing hot shower, change into shorts, and ENJOY YOUR QUALITY MY TIME by just doing what YOU LIKE doing (books, music, videos, games, movies, social media, hang out with friends, step out for a walk, or simply cool off on the bed). You'll always be energetic, relaxed, creative, motivated and efficient here. Kitchen facilities will also be arranged for you if needed. Real Estate Agents are welcome to show this Room to their Indian Clients. Chat with Sanjay now (or Whatsapp) - 055 7822117. Bed Space available in Abu Dhabi from 01 May 2019. * Tourist Club area (behind Dana Hotel) * Nearby Supermarkets, gift shops, bus stop, park * Room rent is inclusive of Electricity, water * Total 3 persons in a room * Executive Bed Space * Kitchen available for cooking * Washing machine, Fridge, Shoe Rack, WIFI, BOTIM, Central A/C, Clothes Hanger, Iron Box, Iron Stand * Cheap and affordable * People who are on one month visiting visa or long term are welcome. Get Excited Bro. 7 days left.... From 01st May 2019, a generously-sized Room with Curtains, Wardrobes, PRIVATE BATH and Amenities will be up for grabs for an Indian Executive to live it up with another cheerful and good-natured Indian Executive living in the same room since 2014. Just TWO people in this Room and 8 people (4 of them are a Family) in the entire naturally bright-and-breezy, centrally airconditioned, 3BHK Apartment. An elegant, palatial 2000 sqft Apartment in an upscale neighbourhood with plenty of FREE CAR PARKING SPACES available in the vicinity. If you are looking out for a homely, discreet and beautifully-maintained place, rest assured, YOU WILL TRULY LOVE to live here. There is no pain here, there is only peace and bliss. It is no secret that individuals develop strong emotional attachments to places which make them FEEL GOOD. Location : Al Dar Building, Opp Golden Sands 9, Al Mankhool, Bur Dubai. Conveniently situated within close proximity (800 metres) to both, Al Fahidi and Al Karama Metro Stations. Most Restaurants and Supermarkets are highly familiar with this Building. Breakfast, Lunch, Dinner, Groceries or any other item ordered on the phone, gets quickly delivered to the Residents of Al Dar Building. Rent Dhs 1,600/- per month incl of Dewa, Wifi (100mbps) and Amenities - Washing Machine, Fridge, Microwave Oven, Water Purifier and Housemaid. LIFE IS NICE N EASY FOR YOU HERE, as your entire Housekeeping work (dusting, vacuuming, mopping of Room and cleaning of Bathroom) will be taken care of by our Housemaid daily. After a long hectic day at work, you'll come home, kick off your shoes, take a refreshing hot shower, change into shorts, and ENJOY YOUR QUALITY MY TIME by just doing what YOU LIKE doing (books, music, videos, games, movies, social media, hang out with friends, step out for a walk, or simply cool off on the bed). You'll always be energetic, relaxed, creative, motivated and efficient here. Kitchen facilities will also be arranged for you if needed. Real Estate Agents are welcome to show this Room to their Indian Clients. 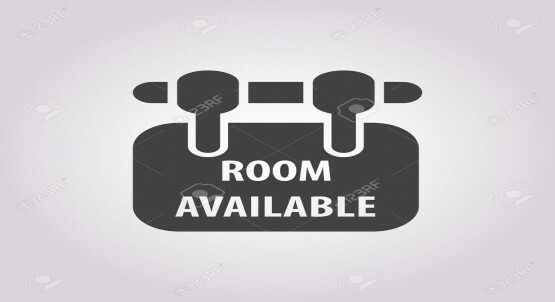 Chat with Sanjay now (or Whatsapp) - 055 7822117.
i want to give Executive Bed Space for May & June month 2019.Indian Male preferred. Only Two person in flat. In my flat all facility like wifi, refrigerator, washing machine, ac , bed , kitchen all available. My flat is located near Alzahara hospital, clock tower, sharjah. 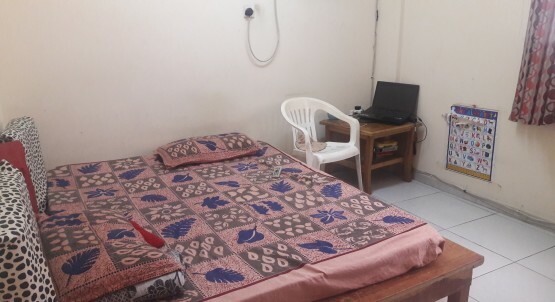 Fully furnished Central AC single bed available with in built wardrobes, TV with e-vision package, Wi-fi, Washing Machine, once a week room cleaning facility, home cooked meals with very economical rates, to share with one Indian Executive bachelor,available immediately. Looking for a female roommate who can move in from July. 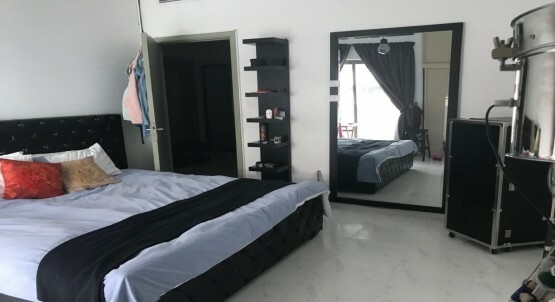 Studio apartment in a villa - 3 sharing. The apartment is fully furnished with an attached kitchen and bathroom along with an attached balcony. 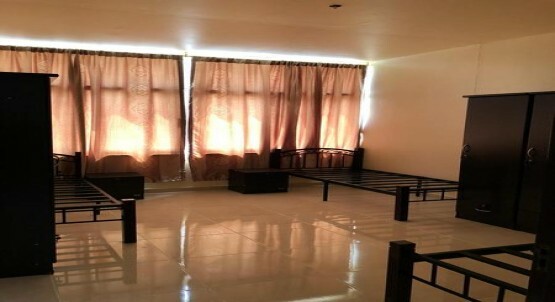 Countdown Calendar to Moving Day - 8, 7, 6, 5, 4, 3, 2, 1, 0....... From 01st May 2019, a generously-sized Room with Curtains, Wardrobes, PRIVATE BATH and Amenities will be up for grabs for an Indian Executive to live it up with another cheerful and good-natured Indian Executive living in the same room since 2014. Just TWO people in this Room and 8 people (4 of them are a Family) in the entire naturally bright-and-breezy, centrally airconditioned, 3BHK Apartment. An elegant, palatial 2000 sqft Apartment in an upscale neighbourhood with plenty of FREE CAR PARKING SPACES available in the vicinity. If you are looking out for a homely, discreet and beautifully-maintained place, rest assured, YOU WILL TRULY LOVE to live here. There is no pain here, there is only peace and bliss. It is no secret that individuals develop strong emotional attachments to places which make them FEEL GOOD. Location : Al Dar Building, Opp Golden Sands 9, Al Mankhool, Bur Dubai. Conveniently situated within close proximity (800 metres) to both, Al Fahidi and Al Karama Metro Stations. Most Restaurants and Supermarkets are highly familiar with this Building. Breakfast, Lunch, Dinner, Groceries or any other item ordered on the phone, gets quickly delivered to the Residents of Al Dar Building. 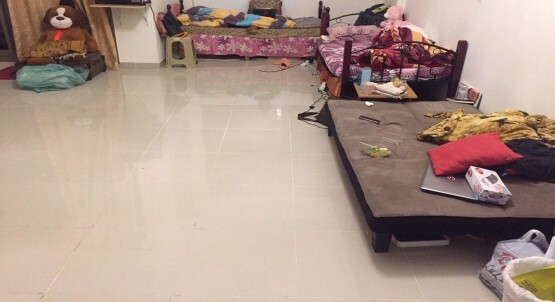 Rent Dhs 1,600/- per month incl of Dewa, Wifi (100mbps) and Amenities - Washing Machine, Fridge, Microwave Oven, Water Purifier and Housemaid. LIFE IS NICE N EASY FOR YOU HERE, as your entire Housekeeping work (dusting, vacuuming, mopping of Room and cleaning of Bathroom) will be taken care of by our Housemaid daily. After a long hectic day at work, you'll come home, kick off your shoes, take a refreshing hot shower, change into shorts, and ENJOY YOUR QUALITY MY TIME by just doing what YOU LIKE doing (books, music, videos, games, movies, social media, hang out with friends, step out for a walk, or simply cool off on the bed). You'll always be energetic, relaxed, creative, motivated and efficient here. Kitchen facilities will also be arranged for you if needed. Real Estate Agents are welcome to show this Room to their Indian Clients. Chat with Sanjay now (or Whatsapp) - 055 7822117. Looking for a comfortable Bed Space? This is the perfect home for you! 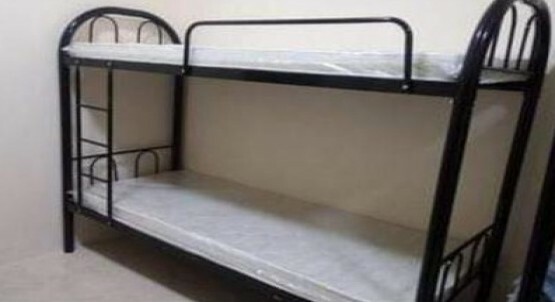 Bed space available for occupancy at affordable price 700 down/ 600 up.  Clean and peaceful. Friendly roommates. Attached Bathroom and Kitchen. Free use of kitchen utensils and cookwares. Refrigerator, Electric Stove, Electric Kettle and Washing Machine included. Free cabinet. Speed WIFI connection. Accessible at Bus Stop along Muroor Road, walking distance to Al Wahda Mall and Bus Station, Madinat Zayed, Al Falah Plaza. Location: Behind Queen Palace Hotel (ADNOC). For inquiries, reach me thru whatsapp/ call at 058 9094545. Note: For Ladies Only, you will going to share with me and my colleague.